More than 20 displays and a series of flypasts will be performed across the Asia-Pacific and Middle East regions by the Royal Air Force Aerobatic Team. 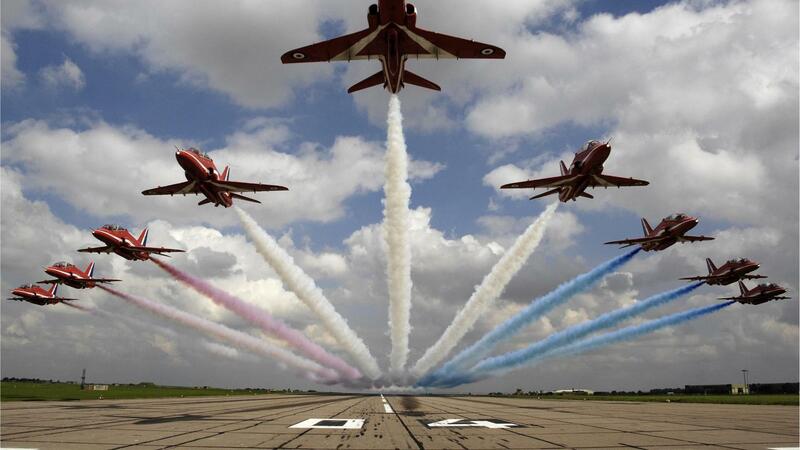 The major tour, which will take two months to complete, will see the Red Arrows perform in Oman in November and China for the first time ever. Squadron Leader David Montenegro, Team Leader of the Royal Air Force Aerobatic Team and Red 1, said: “Ever since the team’s first season in 1965, the Red Arrows have performed on a global scale. The Asia-Pacific and Middle East Tour will see 12 Hawk T1s flown from the Red Arrows’ base of RAF Scampton, in Lincolnshire, to the deployment locations. China will take the number of countries the display team has performed in to 57 since 1965. mThe exercise will also see the Squadron’s technicians and other ground staff travel in support. Sqn Ldr Montenegro said: “Our Asia-Pacific and Middle East Tour is the Red Arrows’ largest overseas deployment for a decade and will see the team perform in China for the very first time. The overseas deployment began just two weeks after the final performance of a successful domestic season, when the Red Arrows performed nearly 70 displays. Sqn Ldr Montenegro said: “The tour is a tangible demonstration of how the UK is a bold, outward-looking nation that works on the world stage with international partners. “The two-month deployment will raise awareness of Britain’s economic offer, its industry and as a country that celebrates arts, science, sport, education and diversity. “Indeed, our colourful, dynamic aerial display of precision, formation aerobatics – together with the associated events on the ground – are a vivid showcase of British engineering, teamwork and creativity. The Strategic Defence and Security Review made clear the UK’s commitment to the Asia Pacific region and to building relationships to address global challenges. Defence Secretary Michael Fallon announced the tour earlier this year. Following visits to Japan in January and Singapore in May, Mr Fallon also confirmed that RAF Typhoon jets will take part in the joint exercise Bersama Lima from Malaysia, which forms part of the UK’s commitment to the Five Power Defence Arrangements (FPDA).